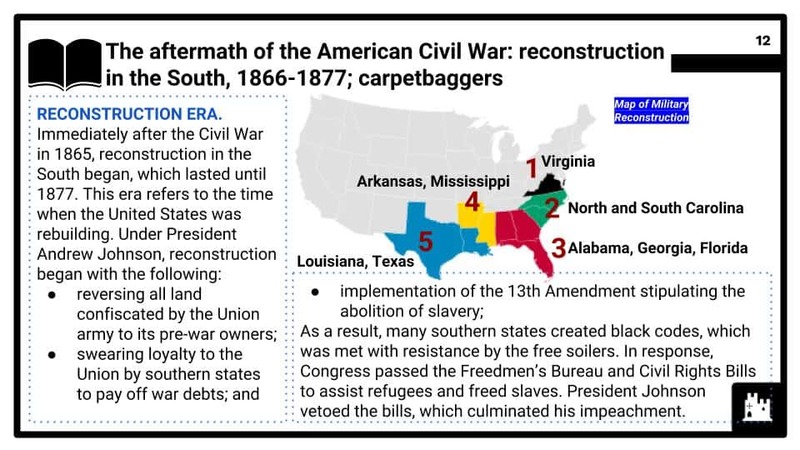 This Period Study module covers option AA of the AQA 9-1 GCSE History topic "America, 1840–1895: Expansion and consolidation". 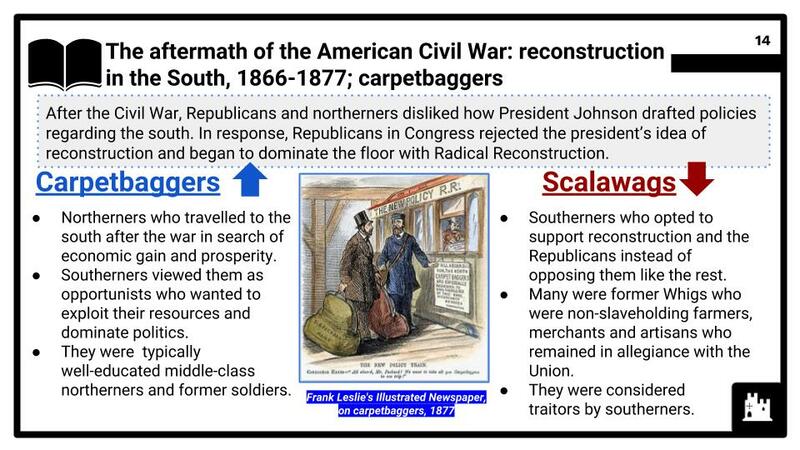 In this module, the focus is on the development of the United States of America during the second half of the turbulent 19th century. It was a time of significant change and upheaval on account of expansion to the west and consolidation of territories and as a nation. 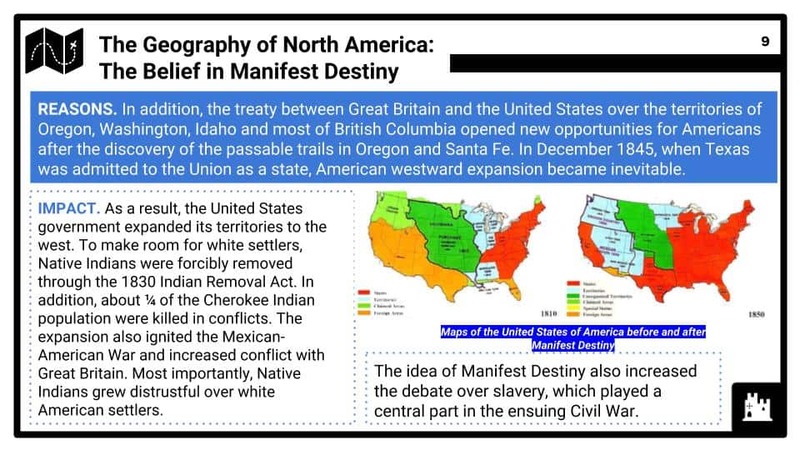 The geography of North America: attitudes to the Great American Desert and the belief in ‘Manifest Destiny’. Mormons; the pioneer migrant farmers, the journey west; the miners. 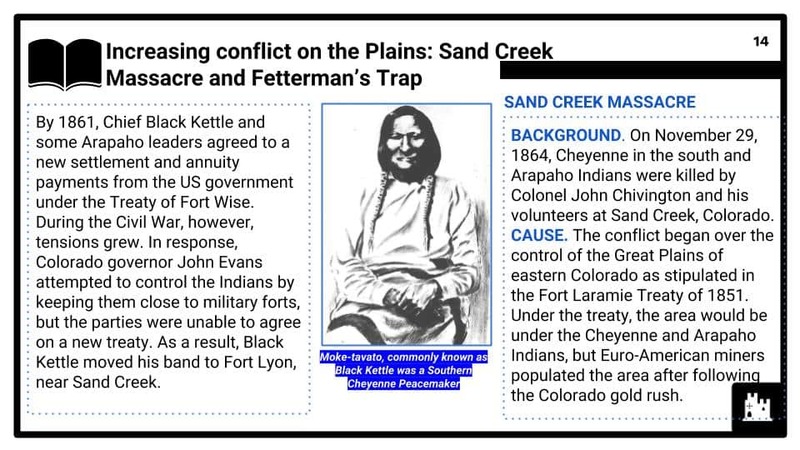 Increasing conflict on the Plains: the Fort Laramie Treaty (1851) and the failure of the policy of concentration; the Indian Wars (1862–1867): reasons for and consequences of the Wars; Sand Creek Massacre; Fetterman’s Trap.